Mike and his crew were great. They were on time and neat. As far as carpet cleaning goes, at first I was not certain that I would be happy with only cleaning the carpet, I wanted a new one. My husband insisted we at least try because there was a 100% cash back guarantee. I am very pleased to say that after the day passed our carpet looked nearly new again. We will have them cleaned again after the winter. Oh, and the booties are a cute touch! Kleenrite has already done work for me, and always did a great job. All the stains on my carpet are gone, and they even did a grout cleaning demo for me! Kleenrite Carpet is extremely professional and thorough. I have used them in the past and have always been extremely pleased by there work. They are always on time. There quality of work is always above any expectations I have. They are very knowledgeable in there field. I will continue to and have already highly recommended them to my family and friends. I was recommended to this company from my kitchen floor installers. Although they were higher priced than the other company I used in the past they did a much better job. They even gave me a free bottle of carpet spot cleaner and shoe covers to walk around with for free. They cleaned my carpet very well and made it presentable again. They did such a great job I am going to recommended them to my friends and even to my homeowners association. This company had a nice clean van and uniforms to match. There was nothing that could have topped how they cleaned my home. Very professional. Kleenrite Carpet Care was right on time for my carpet cleaning appointment. I chose Kleenrite because I have had them do work in my home three times prior and have met the owner personally. Kleenrite made my carpets in my home like new again. Kleenrite took away all of the pet accidents, odors, stains and mess!! If I had one company to recommend to my friends it would be Kleenrite Carpet Care because they offer the best service and value around. They are flawless! The best part about using Kleenrite is I can and have trusted them in my home alone on many occassions when I was not home myself. They just did their work and locked up after they were finished. You can trust them in your home to. They were on time, always reliable, do a great job and are conscientious. This company has always removed many stains from our carpets and area rugs. They always look like new when they are finished. If I were to recommend someone to clean a friend or neighbors home it would be Kleenrite. They always work hard at getting our carpets clean. He is reliable and trust worthy. The thing that makes Kleenrite different from other companies is that they are consistantly good and we love the preferred client specials. We even got a free room of carpet on our last job. I have been dealing with Mike from Kleenrite Carpet for over 4 years now and he is wonderful. His company does a great job and they are very professional. I would recommend Kleenrite to anyone who is looking to get their carpets cleaned. I Made the call, they showed up that day. Very clean and professional service they provided. He came here for my emergency flood in my basement, which has carpets, and did a very quick cleaning of the situation. While watching him I remembered the dirty carpet in my home office and asked him to take a look at it. Because he was here already he charged me a very small fee to clean it and I let him do so. Well, very happy I did because my carpet looks brand new again. What a great team of guys they where. Thanks to them all and see you at my next cleaning. Kleenrite did a wonderful job cleaning the carpeting in my home. After they finished my carpet look fabulous A couple of months after I had him come back and clean the grout on my kitchen floor. It looks so much better than before. They are polite, reliable and capable. They do a very professional job. I would recommend them to everybody. I thought you would appreciate knowing that the improvement in my rug stain over the day has been miraculous! I never could have imagined that there could be so much improvement while (seemingly) doing nothing but letting the time pass. Whatever you used truly WAS a miracle cleaner and I want to thank you for coming so quickly and being so knowledgeable and capable. I would be happy to be a reference for you at any time! Penny S.
I recently had my store’s carpeting cleaned by fellow Chamber member: Kleenrite Carpet Care, operated by Mike Schmitt. I want to say I have never met a more accommodating person. He was able to schedule the job according to my schedule so as not to disrupt my business. He did a very professional job from start to finish and even did some extras that I did not expect. He worked cleanly and was in and out of my store in a short period of time. I would recommend his services highly. His prices were also very reasonable. They arrived early for my job and cleaned two area rugs, Dramatic Difference! Not only do they appear brand new but they smell clean and my allergies have virtually disappeared! For the first time in a long time I felt like the servicemen in my home were honest and legitimate. It is difficult to find dependable trustworthy workers on this island. Kleenrite has them. I have used Kleenrite Carpet Care in the past and was very pleased with their work. This company pays attention to detail. They took the time to explain the processes they were using as they worked. My living room carpet and dining room area rug all came out amazing. Again, I was very pleased with the results and my stains were removed. The technicians were professional, courteous, and very considerate of my household furnishings. My parents originally used this company and were very pleased, so I decided to use them to clean the rugs in my new house. The carpets were dingy and there were pet stains and odors. The difference is amazing and my carpets look like new! The staff is reliable, punctual, and very friendly. The owner of the company even called the next day to see if we were satisfied with their work. I have seen your clean white professional van several times in the neighborhood so I decided to call. I knew that I could trust your company to do a very good job. The staff was courteous and friendly. My upholstered chairs are now clean again, and the color is much brighter. Thanks for being on time for out appointment. Although I was not home when you came my mom was there and she raved about how hard you worked to clean the carpets and I thank you. I found your company from an advertisement, and I’m very pleased with the work that you did. My carpets are clean and you did a superior job. The effort you put in makes your company different from others. A relative spoke very highly of them, and I will never use any other company again. The employees of this company are honest and very personable. The stains on my rugs and upholstery are gone, and they explained every step as they worked. Wonderful people, and a pleasure to have in our home. They didn’t rush, and they all take pride in their work. I came across this company in the Yellow Pages and chose them because they were professional and competent. When we moved into our home, there was a pet odor from the previous owners animals. They took us step by step through the processes, and the odor is completely gone. Our carpets are now clean, and smell good. I came across this company online while I was looking for a company that was certified and reliable. 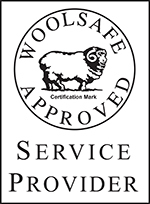 They are extremely knowledgeable about carpets, and are very responsive to questions. The crew is very friendly, and they work hard. I heard about this company through “Smithtown Days.” I’ve never seen such a difference in a “before and after”! This carpet had a number of spots, and they got them completely out! They were very knowledgeable about their products, and were very professional. I’ve used competitors in the carpet cleaning business before, and they are by far the best. I met the owner of this company at a business show. The crew did an excellent job of scrubbing the grout in the tile floor, and we’ll never use any other company. They are very thorough, and we will continue to recommend them. When I needed my carpets cleaned, I went online to research a certified and professional company, and I came across Kleenrite. Two very nice, and knowledgeable young men did a very good job. My carpets are clean, and smell good. They were able to remove all of the pet stains! This company takes pride in their work, and tries hard to satisfy their customers. We had heard of Kleenrite Carpet Care from a friend. When the crew left, the carpets looked brand new, and the air was much fresher. The horror stories you hear about other companies doesn’t happen with Kleenrite. They are excellent, and stand by their work. Kleenrite Carpet Care came highly recommended and they did a wonderful job. My rug is now spotless, and they were very helpful on hints how to keep it clean. The crew was friendly and they care about the customer and carpet care. My personal trainer actually referred me to this company, and I love them. They are honest, hard working and love what they do. My carpets look the same as the day I bought them! They are the best in the business and I was impressed with their work both times. We have been customers of this company for 4 or 5 years now, and we’ve never had a complaint. They cleaned our kitchen floor which is ceramic tile and grout. After 7 years of not being cleaned it looks like new. We got their name from a referral. They are professional and thorough and always on time. Kleenrite is a quality company that provides great service and great quality. What we like is that they really don’t try to oversell their services. Mike and his crew are trustworthy and if you need them fast they would go the extra mile to get to you ASAP. Somehow no matter how bad a stain is, they always get it out! This is a quality service, and they really care about their customers. The service was excellent, and the owner was courteous, professional and on time. 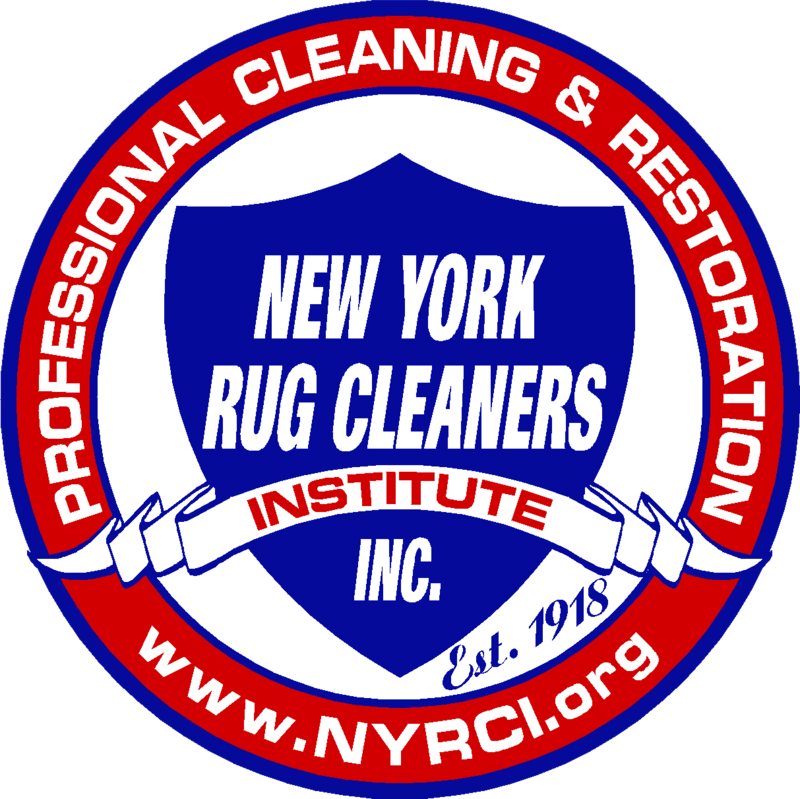 They are extremely knowledgeable about cleaning carpets, but also had suggestions for caring and protecting the carpets as well. He exceeded out expectations as far as how clean the carpets became. We were able to see a real difference, and we will be recommending this company to our family and friends. I’ve used this company in the past, and both times I have been quite happy with the results. Spots were removed, and now my carpet looks brand new again. What I really liked about them is that they do all the work themselves. They never use sub-contractors. I choose this company because of it’s excellent reputation and track record from people I know. This company and it’s employees are dependable and professional. Our carpets are now clean and the color has been restored. You will definitely get what you pay for with them. Thanks to our cat, our rugs were a mess. The owner spoke to me about the problem, and helped us decide the best plan of action was best for out circumstances. I’ve never had carpets before, so I appreciated him explaining the process to me so clearly. Now thank to Kleenrite, our carpets look wonderful! This company is very unique. They are to the point, honest, and knowledgeable. Our upholstery looks amazing, and our pillows are fluffy and smell wonderful. They are very personable and not pushy sales types. The prices are quite reasonable for the high quality workmanship. I found Kleenrite by a Google search. The owner is true to his word, and runs an honest business. My carpet is white again, and there are no more dog stains. I liked that he explained the services they offered before, during, and after the process. The men that work for this company are friendly, and actually arrived early for our appointment. The completely cleaned my area rug, and a berber carpet in the living room. Afterwards, they applied a nice protector to both rugs. We had a flood in our house that filled every room. When we called the emergency crew arrived within an hour! We had found the company in the phone book, and they were very professional. Kleenrite was very highly recommended to us. 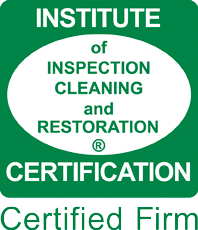 They are professional and more knowledgeable that any other carpet cleaning business we’ve used. The carpets are now clean, bright, And the color is back. You can tell the owner loves his profession, and knows the ins and out’s of his business. A friend of mine told me about this wonderful company called Kleenrite Carpet Care. The owner and employees have total focus, and are very professional. Whatever carpet protectant they used works very well in preventing stains, and the stains that we had are now gone. Their products alone are outstanding, and there are no hidden costs at all. Its completely up front. My flooring company recently recommended them to me, and they do a much better job that the other companies I’ve used previously. My upholstery came out perfect, and there was no mess to my home. I would recommend this company because they are neat, efficient, honest, and do a great job. We had a flood in our basement and we were going to rip all the carpet up. A friend of ours suggested trying this company first. The carpet’s came out beautifully, and they saved us a lot of money. Thank you so much! We have used this company before, and the workers are friendly, accommodating, and explain their work. All of our carpets are now clean with renewed color, and dried quickly. This company came highly recommended to us. Although we didn’t have any large stains, the carpets look incredible. Their work is top quality, and the staff is punctual and quick. 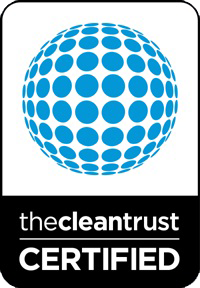 Unlike most carpet cleaning businesses there are NO hidden costs, and they even sent us spot cleaner afterwards! The crew of this company are friendly and competent. My rugs have never looked better, and the pet stains on them are gone. As they were cleaning they were explaining the treatments. I was referred to this company by a friend, and i’m glad I called. They removed stains, and paint from my carpet, as well as cleaning an entire staircase. They professional, punctual, and friendly. The company does an excellent job, and the employees are cordial and pleasant to speak with. They patiently answered all of my questions in very knowledgeable way. My carpets were heavily soiled with grease, dog stains, and heavy traffic. In a short time they were able to clean it completely. Their equipment, cleaning fluids, and methods are top notch. I was told to try them by a friend, and i’m very pleased with the results. I choose this company because they offer a great service. The young men were right on time, And very friendly. They did an immaculate job on my floors, getting all of the dirt and stains, as well as scotchguarding .I highly recommend this company to everyone. The owner arrived at my house on time as he promised to check on the work I wanted done. He teseted all the area prior to being treated and he explained everything that he was going to do before it was done. I was going to replace the rugs but thanks to Kleenrite, I’ve saved a lot of money and I have carpets that look like new. They were even able to get out pet stains that I thought would never come out. I found the crew to be professional, excellent work habits, and I didn’t have to life a finger because they took care of everything. I would proudly recommend this company to all of my friends and family. In my opinion there should be more businesses like this one. I was referred to Kleenrite from another company they do work for, as well as a member of my family. This company is quick, professional and gets the job done. Now my carpets are clean, and look a lot brighter. We had a very big stain on out carpet, and unlike other products u see a “rim” where the stain used to be. Not the case with this company. With their products it got the stain completely gone. They did an excellent job, and are very reliable. 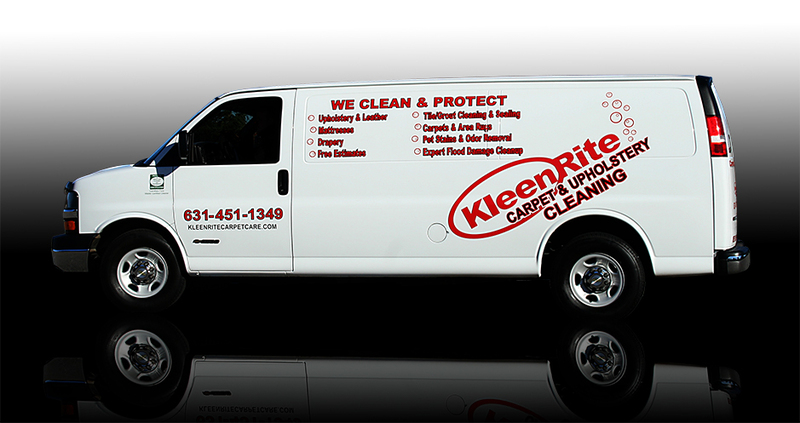 We came across Kleenrite Carpet care while researching companies in the yellow Book. The service is prompt, and they have an eye for detail. They even set up fans after we had a flood and returned to monitor and pick the fans up. The crew is friendly, professional and personable.